With the current release of ‘Public Enemies’ and the critical interest it has ignited amongst fans and film critics, most of which has appeared on the blogosphere, it was hard not offer my own take on the films of Michael Mann. Alongside David Fincher and Paul Thomas Anderson, Michael Mann is one of my favourite film makers and also happens to be one of the few American film makers working at his peak, consistently producing an impressive range of genre films. The following are my critical thoughts on Michael Mann and why he matters so much in the narrowing field of contemporary American cinema. When compared to many of the great filmmakers working today, the creative output of Michael Mann is relatively insubstantial for a mainstream Hollywood director who has worked within many diverse genres from the crime film to the period epic. To date, he has made just ten feature films including two television films in the space of three decades. In terms of output, Mann’s moderate work rate makes for telling comparisons with similarly revered contemporary auteurs like Terence Malick. Unlike the enigmatic Terence Malick who has never considered himself part of Hollywood or mainstream American cinema, Michael Mann regularly collaborates with major film stars, works with relatively large budgets and aims his films at a wide audience. Both his last two films; ‘Miami Vice’ and ‘Public Enemies’ opened during the summer period, hoping to offer audiences an alternative in terms of the blockbuster film. Having graduated from the London Film School in the 60s, Mann’s first encounter with film making came with the documentary medium, but it would take Mann nearly two decades to achieve international recognition with ‘Manhunter’. 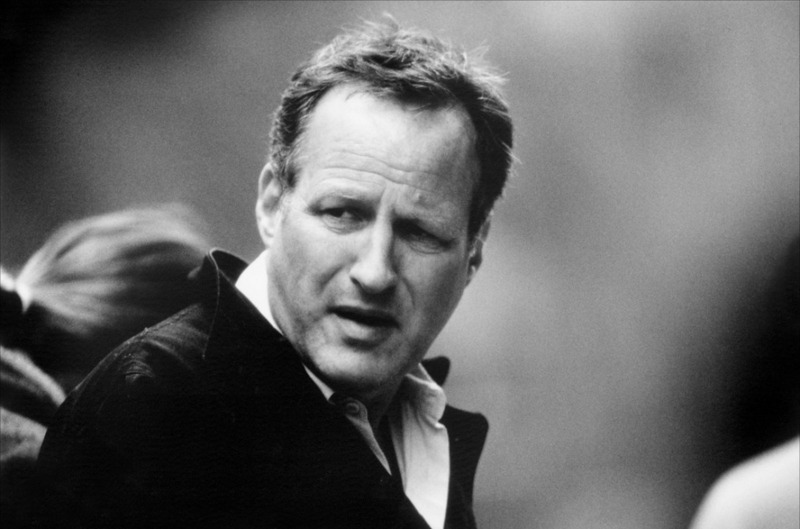 Michael Mann made a reputation for himself with his involvement in producing hit television shows like ‘Crime Story’ and ‘Miami Vice’, and he was relegated to the television format for a number of years. Before ‘Heat’ became an actual cinematic reality, Michael Mann had made a little known television film, ‘LA Takedown’. 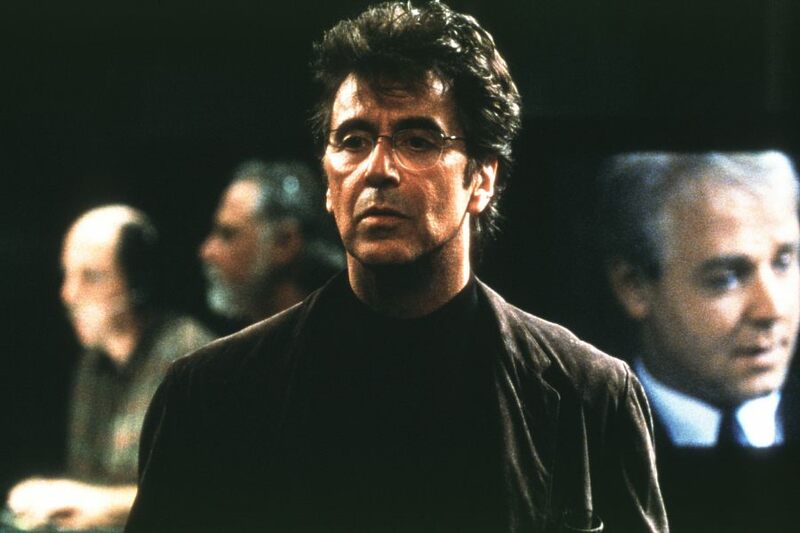 Deeply dissatisfied with the final shape of this low budget television film, Mann would later return to this failed project and eventually remake it as ‘Heat’, fulfilling his vision of creating a populist crime epic with a cast that would comprise of Al Pacino and Robert De Niro. ‘Miami Vice (2006)’ as a recognisable brand should have meant the possibility of a built in audience but it failed to generate the expected box office results, undermining the film’s chance of establishing itself as a potential franchise for Universal. Nevertheless, a handful of determined critics have bravely kept alive the aesthetic, thematic and authorial values of Mann’s films, with some even labelling ‘Miami Vice’ as film of the decade. Perhaps some of the most insightful commentary on Michael Mann has emerged unsurprisingly on the blogosphere. Film critic and video essayist Matt Zoller Seitz has recently produced a series of video essays, analysing key themes and articulating the importance of Mann as a key American film auteur. Therefore, it seems as though it is easier to make a judgement about Mann’s status as a mainstream filmmaker, but much more problematic to identify the creative tension that exists between authorial instincts and commercial demands which makes him into such an inscrutable filmmaker. Since 2006, Mann has become increasingly prolific as a producer, re teaming with Jamie Foxx in ‘The Kingdom’ (2007), a poorly received and jingoistic action thriller set in Saudi Arabia. Most recently, his name adorned the credits of the Will Smith comic book smash hit film, ‘Hancock’ (2008), another film directed by the actor turned Peter Berg who showed up in ‘Collateral’ (2004) in a minor role as a homicide detective. 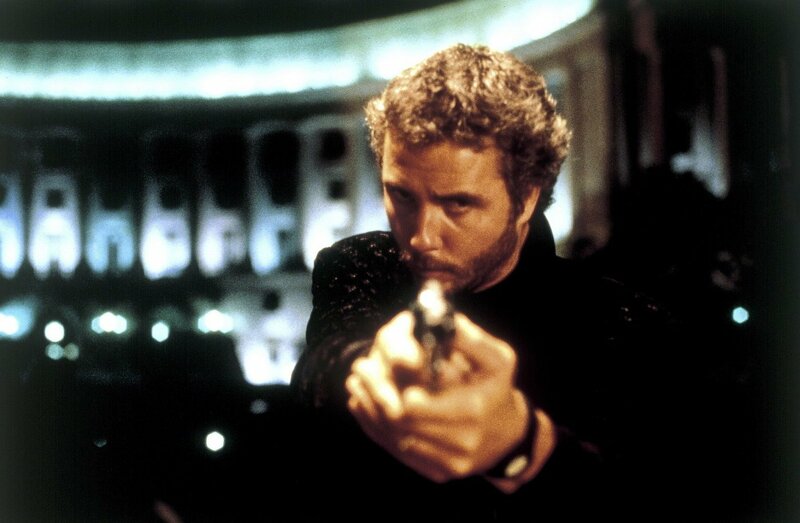 Though Michael Mann has shown considerable range as a filmmaker in the types of films he has directed, his reputation is inextricably tied to the contemporary Hollywood crime film (it would be just as valid to substitute crime with neo noir when situating his work in terms of genre), with many citing ‘Heat’ as one of the great recent masterworks of American cinema and perhaps the film that really helped to confirm his unparalleled place as one of the best filmmakers working anywhere in the world today. Mann has been quick to embrace new technology and has been one of the first Hollywood filmmakers to experiment with new High Definition digital video format in ‘Collateral’, subsequently replicating such success in ‘Miami Vice’. By choosing digital over film, Mann boldly demonstrated how digital cinema could look aesthetically appealing and present a distinctively alternative approach to the visual treatment of a Hollywood feature film. 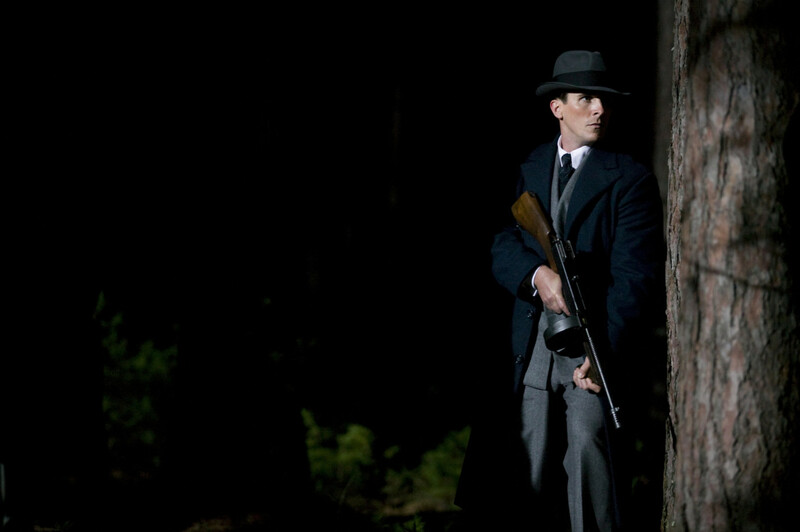 The favoured choice of camera is the HD Thompson Viper, a camera that Mann has consecutively utilised on his last three films including ‘Public Enemies’. Though film makers have been slow to embrace the Viper (David Fincher is the exception – ‘Zodiac’ was beautifully shot using the Viper by Harris Savides), the camera’s capability to capture the image at night with a clarity and lucidity is perfectly suited to the age of digital home cinema. Dion Beebe’s groundbreaking cinematography on ‘Collateral’ revealed in an altogether new aesthetic possibility, which was taken yet further in the poetic imagery of ‘Miami Vice’. Very little has been written about Mann and a serious look at his work is all but absent from film literature. The criticism that does exist about Mann is routinely directed towards his status as a visual stylist, a label that many studios feel content with as it makes his films that much easier to market. The most complete overview of his films to date is a Taschen book by F.X. Feeney titled ‘Michael Mann’. Lacking any real academic input, the book excels in providing a wealth of background information about Mann’s approach to film making and offers what is an exclusive range of images and a complete filmography. However, Amazon lists a number of forthcoming books on the films of Michael Mann so in a few years we may thankfully be in a situation in which academics and critics may struggle to say something new or revelatory about his work. 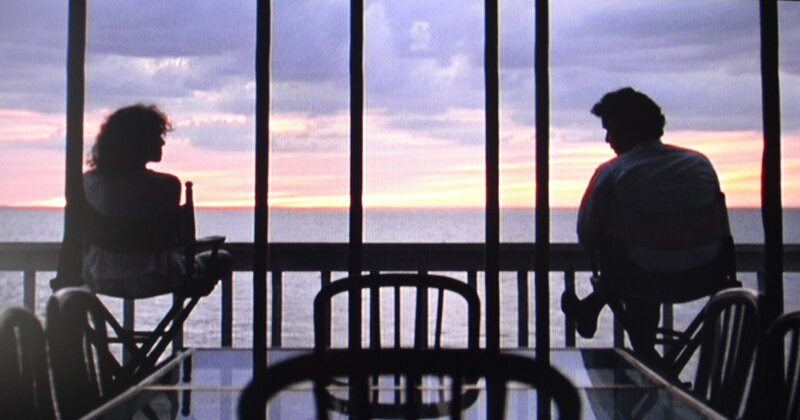 Beginning with ‘Manhunter’ (1986), the image of the sea has become a crucial and expressive thematic motif in the oeuvre of Michael Mann. 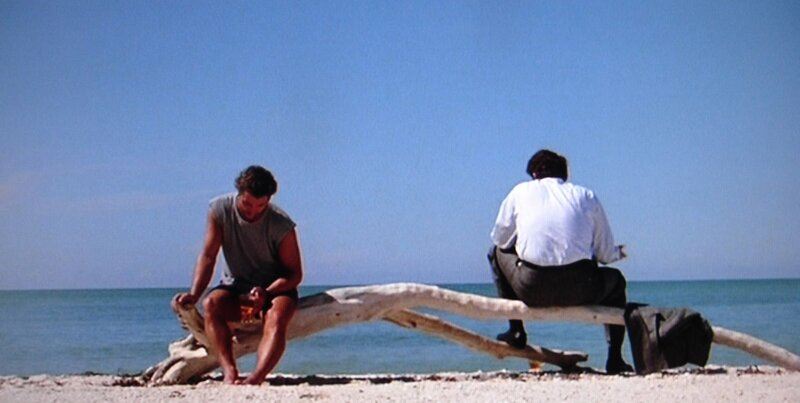 In ‘Manhunter’, Former FBI Agent Will Graham’s (William Petersen) affinity with the sea (he is trying to rebuild his life and family at his beach house) illustrates the ideological relationship between nature and society; this co existence between man’s want to retreat to the idyllic pleasures of life and the pressure to forge an identity within contemporary urban society is an uneasy and problematic concern for both Will Graham and the antagonist of the film, Dollarhyde (The Tooth Fairy). Though Will Graham’s desire to exist on the fringes of contemporary society is purely idealistic, it perhaps suggests how the motif of the sea foregrounds the loneliness and alienation that many of Mann characters experience. In many ways the sea becomes a source of rebirth and stillness, providing an alternative to the catalogue of urban sounds that consume individuals like Neil McCauley (Robert De Niro) in ‘Heat’. 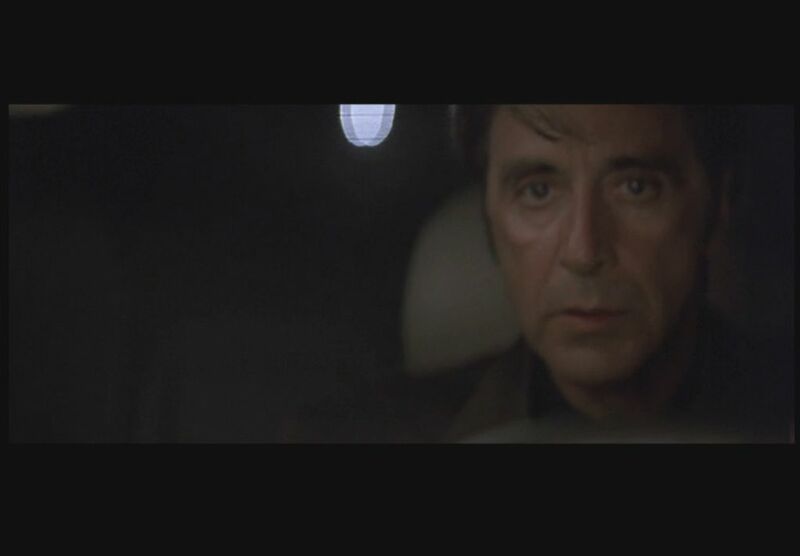 Towards the end of Mann’s 1999 film on the American cigarette industry, ‘The Insider’, Television producer Lowell Bergman’s (Al Pacino) temporary expulsion from the CBS news organisation ends with him retreating to the ocean for a period of extended self reflection so that he can try and exorcise the guilt he feels for the personal failure towards Jeffrey Wigand (Russell Crowe), somebody who he has coerced into telling his story about the illegal practices being secretly conducted by a major American cigarette corporation. 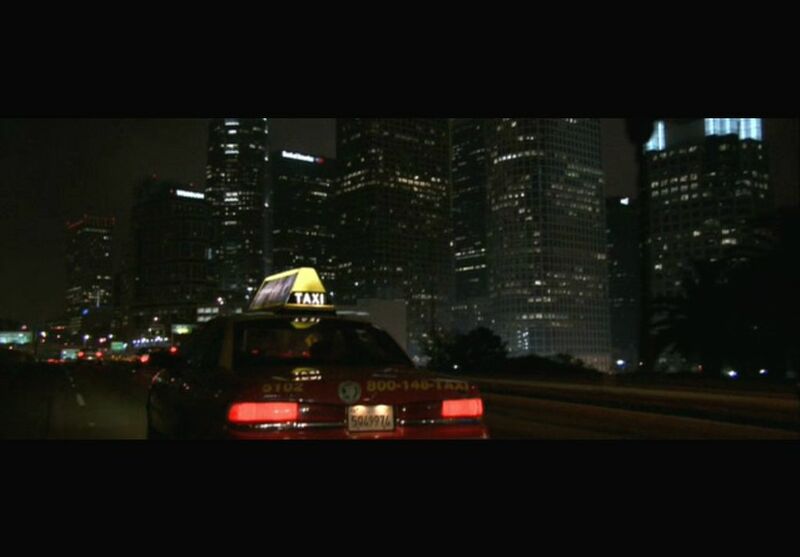 Even an urban crime film like ‘Collateral’ (2004) in which the narrative unfolds over one night in Los Angeles, the motif of the sea resurfaces, this time appearing in the figure of an island on a postcard that Max (Jamie Fox) keeps in his Taxi. On this occasion, the postcard provides Max with a premature escape from the reality of his mundane existence, but the postcard is an artifice as blank as the city in which he drives and to which he has become an unknowing victim of alienation. Like Will Graham and Lowell Bergman’s secret ocean hideaways in ‘Manhunter’ and ‘The Insider’, the ethereal connection with the sea is an ultimate desire for independence from a society that has imploded and lost touch with humanity. The mourning of a way of life that is no longer possible and subject to the inevitability of historical change is brilliantly captured in the final shot of Mann’s historical epic, ‘The Last of the Mohicans’. Having overcome the formidable Magua (Wes Studi), Hawkeye (Daniel Day Lewis) stands majestically, looking out across the landscape as if their collective journey has literally taken them to the edge of the world, mourning and signalling the death of an ancient society. The sense of nostalgic yearning for a bygone age that flows out of the final sequence confirms Mann’s fascination with characters who reject the new society, one that seeks to destroy, fragment and bring death. Both Vincent in ‘Collateral’ and Neil McCauley in ‘Heat’ are criminals but Mann does not seek to advocate how their death is crucial for reinstating some kind of status quo, but instead, says that death for those who transgress the social order is the only definitive and absolute means of ensuring their adherence to a moral code is preserved indefinitely. Both Neil and Vincent would rather choose death than become subsumed into a deeply conformist society, and by choosing death they choose to make a pessimistic statement that underlines their rejection of today’s bankrupt postmodern life. However, this rejection seems also to be a symbol of male anxiety as both Vincent and Neil are dispatched by their male counterparts. In ‘Heat’ as Neil McCauley is dying, Vincent’s touching gesture of holding his hand, squeezing it tightly, cries out as a testimony to Mann’s recurring interest in male relationships that are forged in a deeply professional context, but almost always resulting in some kind of metaphysical displacement that is strangely uplifting. This primarily male instinct of mutual appreciation that is repeatedly reciprocated in the crime films of Mann manifests itself once more in the ending to Mann’s most recent feature, ‘Public Enemies’. Dillinger’s death unfolds in a Zen like state of expiation and his slaying is a necessary means of reinstating social order. However, Dillinger’s decision to choose the time and place of his death is acknowledged by the character of Charles Winstead (Stephen Lang in what is a scene stealing role as an out of town law enforcer and traditional male symbol of the old west). The obligation that compels Winstead to inform Billie Frechette (Marion Cottilard) of Dillinger’s poignant last words is a confirmation of the respect he secretly harbours for men like Dillinger, men who refuse to sell out and simply abandon their sense of identity. Perhaps it is much more than just respect but an admiration for being able to choose a position in society rather than have it dictated by those around you. 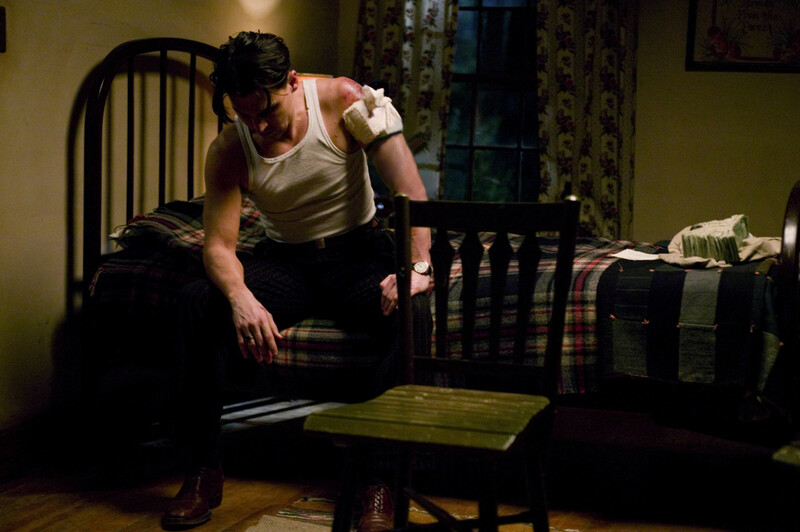 Running on Empty: Johnny Depp as Dillinger in ‘Public Enemies’. Contemporary urban male identity is another theme that fascinates Michael Mann. Whether his protagonists are criminals or detectives, they adhere to an ancient moral code and are sworn to a professionalism that is manifested in their unwillingness to sell out or compromise their ideological philosophy in any way. The masculine moral code is taken to its extremes in ‘Collateral’ (2004). Vincent (Tom Cruise) is a man unto himself; a modern day, existential warrior indebted to a moral code of such brutality that he must inevitability succumb to death. Vincent’s fear of both assimilation into mainstream everyday society and anonymity is vividly illustrated in his allegorical recollection of the anecdote of the dead man on a subway train who nobody seems to notice. 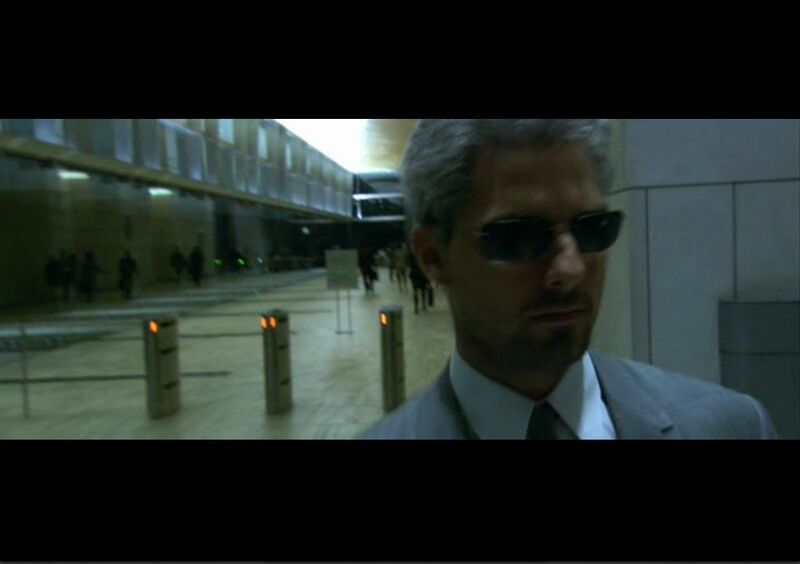 – Vincent (Tom Cruise) in ‘Collateral’. Like Neil McCauley in ‘Heat’, dying alone and anonymously is secretly what Vincent fears the most. If we take into consideration the generic context of neo noir then Vincent’s death is inevitable as his journey mirrors that of the traditional doomed noir protagonist. Death seems to be the only resolution and outcome for empathetic characters like Vincent in ‘Collateral’ and Dollarhyde in ‘Manhunter’ as their presence seems to threaten the legitimacy of a supposedly civilised society. Many of the characters that occupy the ambient, still landscapes of Michael Mann would prefer to remain outsiders but the price they must pay for such isolationist mentality is expulsion and marginalisation. ‘The Insider’ finishes with the image of Lowell Bergman, quitting his job as producer of 60 minutes and disappearing into the crowded, anonymous mass of New Yorkers. He would rather be an outsider, a nobody, then become just another extension of the corrupt corporate establishment, an attitude in part shared by both Neil and Vincent but for arguably alternate reasons. Survival becomes not about existence but about preserving an integrity that no one can question as being false. Al Pacino as Lowell Bergman, producer of ’60 minutes’ and a man of his word. The same can be said about Dillinger’s refusal to listen to the demands of Frank Nitti and Phil D’Andrea (John Ortiz) who eventually severe all ties with him and his gang. This plea to abandon the idea of robbing banks is also reinforced by Dillinger’s best friend, ‘Red’ Hamilton (Jason Clarke), but Dillinger similarly interprets such compromise as a form of humiliation and attack on his manhood. It may be a harsh way of looking at the world but for Mann’s male protagonists, it is the only way. To consider another option would mean social integration, but the preference to exist on the margins of a society is the ultimate symbol of a personal kind of political resistance. In ‘Collateral’, Vincent underlines Middle American western guilt and complicity in international war crimes. After the first contract ‘hit’, when Vincent is provoked by the defensive questioning of Max, he explicitly invokes the atrocities of Rwanda so that he can placate any sentiments of emotional liberalism. What Vincent is in essence talking about is the apathetic nature of a contemporary society that has rejected all meta-narratives in favour of individualism, the sole characteristic of today’s capitalist-consumerist state, and the arrogant attitude he adopts is emblematic of a culture of victimisation that is common place in all walks of life. One of the conditions underpinning postmodernism today is the loss of identity, the loss of self. Nothing is stable. No absolute truths exist. It is the media that determines our self image and shapes who we are, what we do and what we believe, constructing for us an artificial identity that is continually in flux, underlining an age of uncertainty. Vincent is critical of postmodernism and feelings that we associate with such a cultural lifestyle like feelings of inertia, numbness and social apathy that keep people apart from one another – what he identifies as a condition is that of insular and isolationist ideology that reflects contemporary American political attitudes and which characterises how Europeans view and position America today. Though he frowns upon loneliness as a sociological disease, it is only because he recognises it within himself unlike Max who is oblivious to the existence of postmodern constraints. Mann’s characters have a strong sense of personal identity and it is the one characteristic that makes them exceptionally sympathetic. It is their self identity which they are trying to protect and preserve from what they feel are the negative influences of postmodern culture, but integrity, morality and identity are considered by Mann to be primitive values that symbolise an old tradition which holds little, if any, currency in society anymore. German expressionism externalised the mental state of mind of a character and projected it onto the mise en scene, creating a new aesthetic out of sets, lighting and costumes. Though the German expressionists were creatively involved in the production design of a film, such a tradition is still identifiable in many filmmakers approach to cinema. In 60s post war Italian cinema, artistically inclined filmmakers like Antonioni demonstrated how contemporary architecture – buildings, spaces, glass, metal – could be used to embody and reflect the psychological, sociological and sexual attitudes of certain characters and describe with great intelligence relationships between estranged people without having to resort to reams of pointlessly inert dialogue. Such a manipulation of architecture exists in the work of Mann, and beginning with ‘Thief’ (1981), Mann continues to use the image and context of the city especially Los Angeles as an appropriate visual metaphor for the mental state of his tough, lonely and acutely anonymous noir protagonists. 1. The neonesque shadow of Los Angeles. 2. The city becomes a character, dominating the framing. 3. The imposing skyscrapers of Los Angeles. 4. 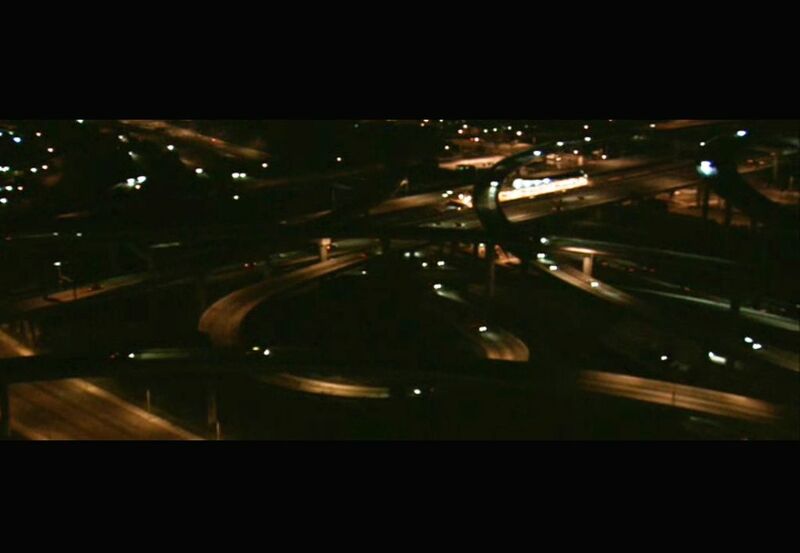 Disjointed and interconnected freeways. 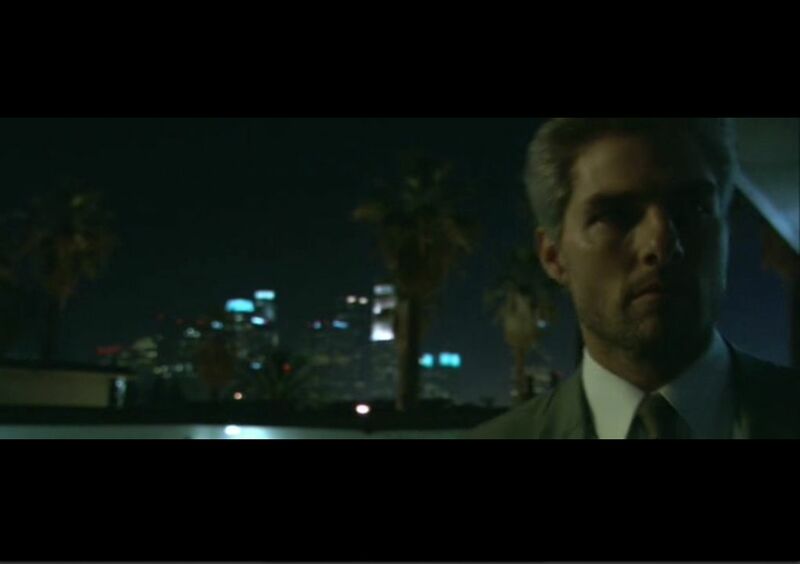 Like the best film noirs, ‘Collateral’, is a film about the city. Max and Vincent’s journey through down town Los Angeles seems like the perfect excuse for Mann to revisit his favourite architectural locations, many of which he had first photographed in ‘Heat’, and to use them as a backdrop that is not simply subordinate to the narrative, but aesthetically enriching and intellectually alive. Mann’s loose crime trilogy of ‘Thief’, ‘Heat’ and ‘Collateral’ has become a striking visual map of contemporary American architecture, immortalising the magnetic and disjointed metropolis through an equal appreciation of love and contempt for the surrounding urban landscape. The expressionistic use of urban architecture (the foregrounding of glass, steel, concrete) illustrates the estrangement and fragmentation postmodernism creates between people, but also defines another key Mann theme, that of ‘mirror images’, as pointed out crucially by Jean-Baptiste Thoret. In ‘Manhunter’, Will Graham apprehends the notorious tooth fairy serial killer because he shares similar psychological instincts, struggling to control, suppress and contain an inner self that is perverse and unnatural. Dr. Lecktor whom Will Graham visits frequently, tries to undermine Will’s predatory instincts in their first encounter at the state hospital for the criminally insane. 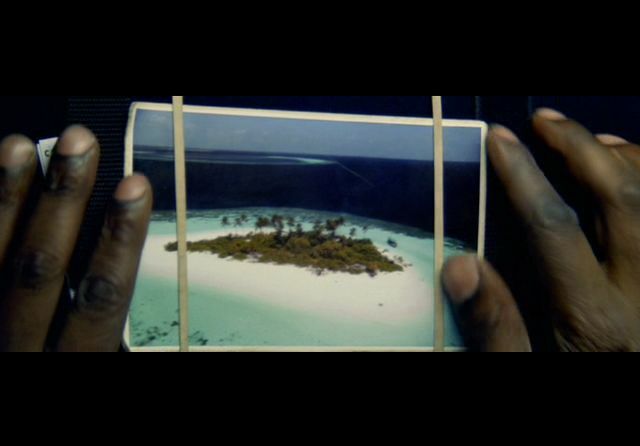 The theme of mirror images is also present in ‘Collateral’. Though Vincent’s roots may be similar to those of Max (we are told he never got on with his father and is a product of foster homes) he seems to be intellectually and ideologically more aware of the political and social context in which he does his killings. The moment Max is forced to confront his boss about exploiting him as though he was just another worker is politically significant in terms of understanding the contempt Vincent holds for authority and power in general. Max wants to get rid of Vincent because he reminds him of his failure to take appropriate action. Vincent’s mere presence makes Max aware of his shortcomings as an individual who seems totally at the mercy of social forces which he is unable to negotiate with unlike Vincent who by adopting such a marginalised position, a hit man, has the capacity for detachment and distancing that is equally empowering in terms of identifying his male identity as something he has constructed. One of the strange peculiarities with an auteur is the increasing regularity with which they begin to reference their own films. A discernible pattern emerges that can eventually be traced through the complex fabric of intertextuality. 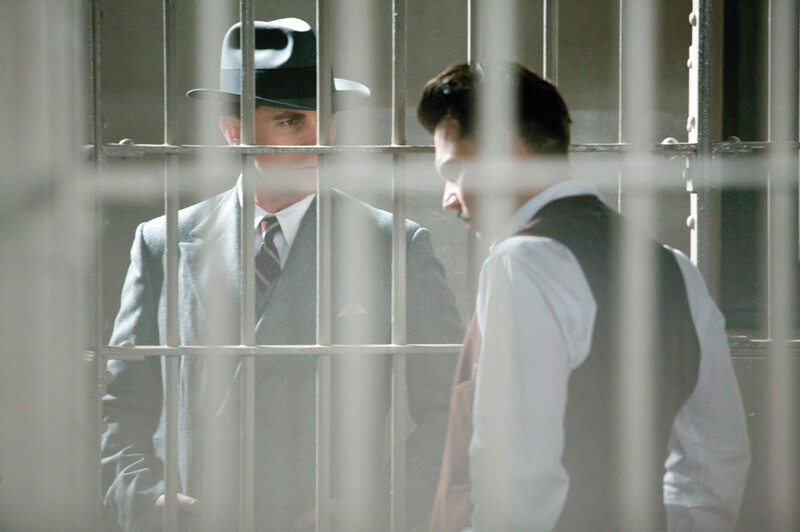 In ‘Public Enemies’, having captured and imprisoned Dillinger, Purvis pays him a brief visit and the two warmly exchange glances and dialogue. This stand off or should I say moment of close scrutiny and mutual appreciation echoes the first meeting that takes place between Will Graham and Dr Lecktor in Mann’s 1986 film, ‘Manhunter’. 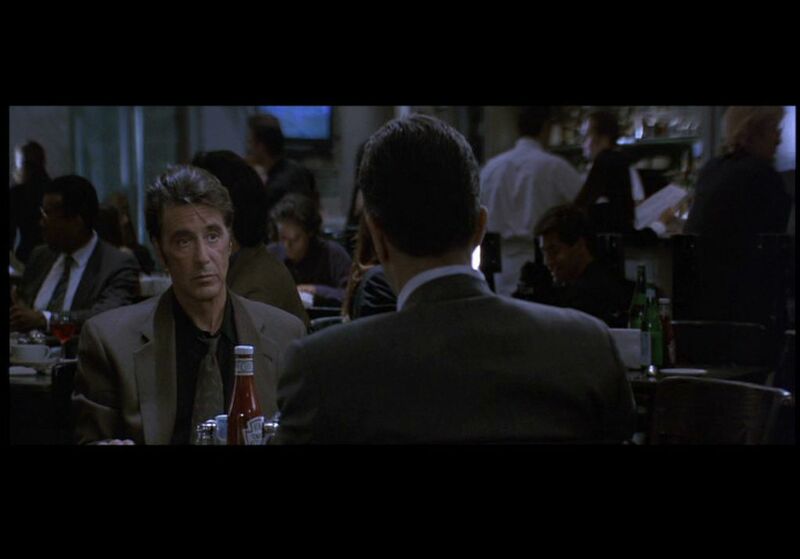 A similar meeting also surfaces most famously in ‘Heat’ between cop and criminal whilst in a film like ‘Collateral’, the antagonism is continuous. As Dillinger and Purvis size up one another through the stillness of the prison bars, one cannot help but be reminded of the frightening similarities between Graham and Lecktor as extenuated through the identical symmetrical framing and juxtaposition of shots. However, no such similarity exists between Dillinger and Purvis; the reflection of Dillinger finds its clearest and most tangible affinity in the peripheral character of Winstead as it becomes evident through the film’s narrative that Purvis’s undying loyalty to the establishment and in particular J Edgar Hoover marks him out as slightly effeminate and as an uncomplicated symbol of conformity. One of the fleeting moments of intimacy between Purvis and Dillinger. 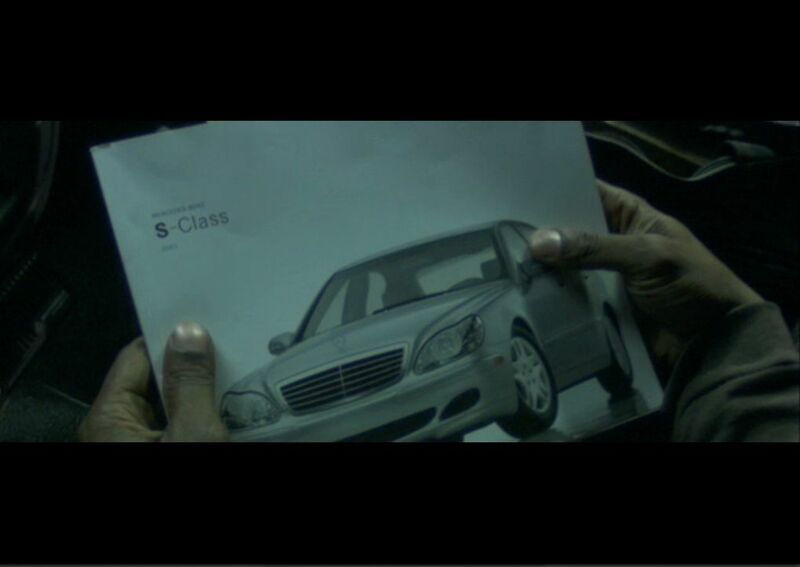 In ‘Collateral’, Max is an unknowing victim of the American dream, a notion invoked for noble purposes but that has been corrupted and is now wielded as a tool of coercion and to provide the masses like Max with a false sense of equality – his interest in superficial consumer objects like the Mercedes Benz epitomises his false sense of reality which has been determined and shaped by a new age media of simulacra and simulations, directly serving the pathological interests of a corporate state that Vincent both openly criticises and endorses as being an inadequate substitute for human relations. Max is a working class drone who has been conditioned – he is the pacified worker as he does not question his position within society. 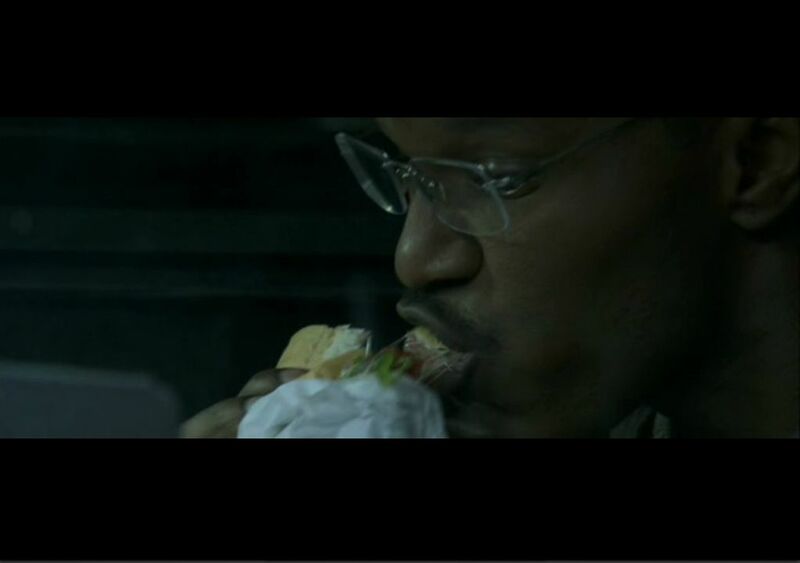 Max (Jamie Foxx) dreams of a better life but is he simply another slave to capitalism? Max’s desire to transcend the limitations of his working class identity are cautiously inscribed in a reluctance to face the reality of his subordinate position in opposition to his boss who’s harassment of Max is viewed by Vincent as a reflection of a jilted system. Max represents the working class stiff who is ideologically unaware and ignorant of his status within society, complete with out of reach aspirations of starting up his own business, a limo company. It is only when he meets Vincent is he challenged ideologically in any way, forced to reconsider just why he has been driving a taxi for the last 12 years of his life. If Vincent educates Max in knowing how to confront authority and hierarchy, he also teaches him in the art of performance exemplified to great effect in the scene in which Max confronts the shady crime boss Felix (Javier Bardem) in the ‘El Rodeo’ LA nightclub. Max imitates Vincent’s chameleon like nature, metamorphosing and being able to assume multiple roles. If performance leads to social empowerment for Max it ultimately and ironically provides him with the will to shoot Vincent and claim back his monosyllabic and banal working class identity. Vincent’s inability to convert Max into identifying his social position within the system is a reflection of the failure of ideology within postmodern society. Unlike Vincent who refuses to be assimilated into the system, Max is oblivious to Vincent’s ambivalence towards the concept of anonymity as described in his allegorical recollection of a dead man on an LA commuter train that nobody seems to notice. Though it could be simplistic to interpret Vincent as a liberating force that attempts to politicise Max, he can also be viewed as another form of social oppression and hegemonic capitalist control. From Max’s point of view, his reluctance to let Vincent into his working class world is a mechanism that parallels and mimics the ideological defence Vincent expresses when asked why he kills people. A similar and parallel transformation occurs in ‘The Insider’. Lowell Bergman’s position as an honest producer and articulate transmitter of media information provides Jeffrey Wigand with the confidence to not only blow the whistle on the cigarette industry but to accept the sacrifices he has to make in order to preserve his moral integrity. However, it is important to point out the void that separates Lowell Bergman from somebody like Vincent in ‘Collateral’ is a deeply ideological one as both see the faults with today’s society, but only one of them wants to use their voice to articulate the truth about corporate culture today and how it has effectively colonised the minds of a society that is rarely offered any kind of real choices anymore. 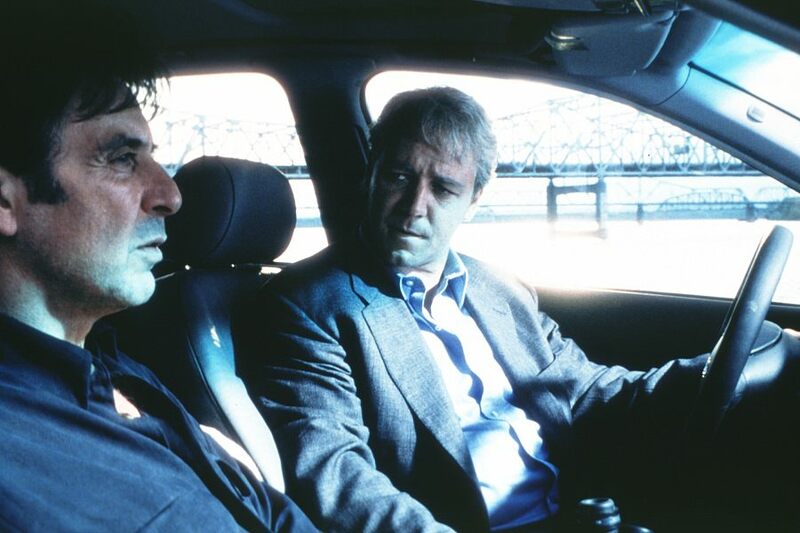 Lowell Bergman (Al Pacino) and Jeffrey Wigand (Russell Crowe) in ‘The Insider’ (1999). Any sympathies we do hold for Vincent are terminated when he shoots dead the pursuing police detective Fanning (Mark Ruffalo) outside a nightclub so that he can protect his identity, and continue being anonymous, but Max’s denunciation of Vincent as a ‘sociopath’ is frustratingly counter productive as it is a reductive and simplistic categorisation that somehow overlooks the complex edges of Vincent’s contradictory persona. However, Max’s crude stereotyping seems like an act of self appeasement for the extreme actions he must take against Vincent so that he can disassociate himself from an image that he secretly wishes he could aspire to and imitate without having to show any degree of remorse. Such distancing and disassociation that exists within the universe of Michael Mann’s films repeats itself with great operatic intensity towards the final moments of ‘Miami Vice’. Isabella’s (Gong Li) discovery of Crockett’s (Colin Farrell) status as a police detective not only complicates their already entangled relationship yet further, it also immediately signals a dissociation between them that cannot be bridged by the fragile emotional cord which has been developed and nurtured by Crockett for ulterior motives. Their parting and separation occurs out of an authorial need from Mann as a filmmaker who maintains the continuity with which he fanatically pursues the thematic motif of emotional detachment that manifests itself most clearly in the figure of the male. Chinese actress and icon of Asian cinema Gong Li was originally pursued by Mann for his film ‘Heat’. Crockett and Isabella may realistically have found some sort of a compromise but their separation at the end is largely motivated and shaped by Crockett’s unflinching quest for loneliness and a dedication to his job that reeks of over eager professionalism. Sonny Crockett is in many ways similar to the character of Max in ‘Collateral’, as they both see the possibilities of an alternative reality, but their submission to mundane civilian society and the confirmation of its superiority prevents them from transcending their subordinate positions that has permanently paralysed any notion of ideological reawakening. 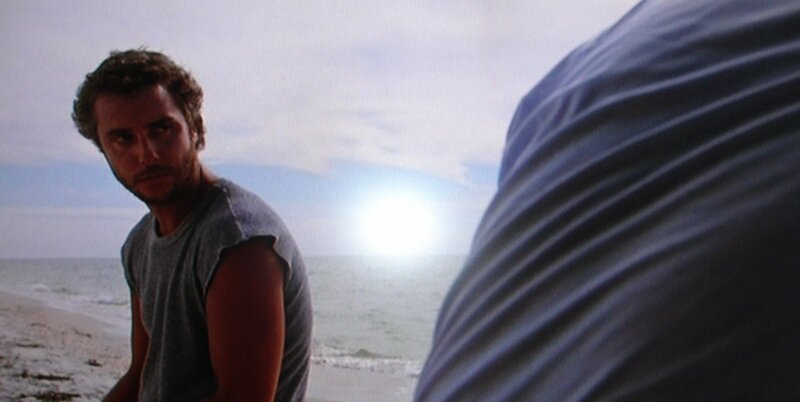 Though Dollarhyde’s character (The Tooth Fairy) has been established in the opening minute of the film with a startling and empowering subjective point of view, this master shot at the beach actually counts as the second opening to the film and the point at which narrative exposition begins in earnest. Though I have identified asymmetrical framing as a key signature shot, this perfectly composed symmetrical shot is another favourite Mann image. Especially noticeable is the graphic composition and width of the frame which makes significant use of the sea’s horizon and the driftwood, anchoring the perfectly balanced shot. The relationship between Will Graham and Agent Crawford is established through the self explanatory positioning of the characters on opposite ends of the frame, using the physical distance to underline the sense of estrangement and ideological differences that exist between the two. This is reinforced by the use of costumes which act as a further signifier of separation. Such an aesthetically executed symmetrical composition crops up time and time again in ‘Manhunter’ and subsequent Mann films. As Agent Crawford begins his attempt to coerce Graham back to the FBI so that he can help track down the notorious tooth fairy serial killer, Mann uses a series of wide angle shots, framing the characters so their heads are virtually cut off, and reinforcing their detachment from one another. The following shot is one of the final shots of this sequence at the beach. Another bold and articulate symmetrical composition, the physical distance between Agent Crawford and Graham’s wife is far greater than in the shot that opens the sequence. This shot can also be viewed as an extension of the first shot with the chair positioned in the centre of the frame, providing the anchor and balance to the composition. Yet again, the horizon gives an added depth and sense of perspective, but perhaps more significantly; this is one of the first shots in the oeuvre of Mann which shows a fascination with filming nature and the outside world through architecture especially glass. The disruptive nature of Vincent’s killing spree and wholly apathetic sociopath is anchored in the asymmetrical framing used in this sequence. It also seems to illustrate the alienation Vincent feels in relation to the ‘disconnected‘ identity of Los Angeles. This next shot is used just before Vincent carries out his first hit. The asymmetrical framing reinforces the city as an iconographic element of film noir. The composition offset by the focused facial expression of Tom Cruise to the right of the frame is tied to the theme of disorder and chaos that Vincent is about to unleash. Though this is not an unusual shot in terms of thematic imagery for Mann, its placement in the sequence where we find Sonny Crockett and Ricardo Tubbs interrogating an ex con for his links to drug Lord Jose Yero is discontinuous in terms of narrative. 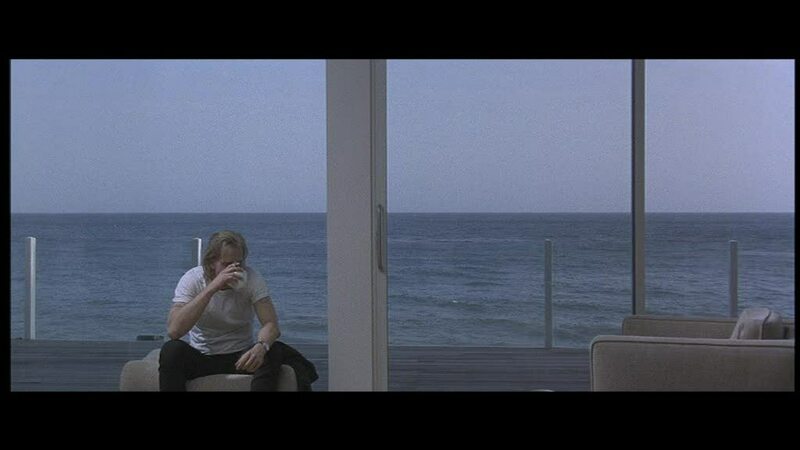 Once again, such a shot is asymmetrically framed with Sonny positioned to the far left whilst echoing both ‘Manhunter’ and ‘Heat’ in which we also find characters gazing at the sea through glass. As the coercion continues in the background, for a brief moment, Sonny unexpectedly glances off screen. Mann cuts to the above shot of the horizon and sea in perfect symmetry, repeating this idea of nature acting as a force of reflection and escape for a loner like Sonny. I have labelled it as discontinuous (so perhaps it would be continuous when contextualised in terms of Michael Mann the auteur) as it seems more of an expression of authorial intent than anything to do with narrative or genre. In this example from the film ‘Heat’, the idea of asymmetrical framing is used to elaborate upon the theme of mirror images. 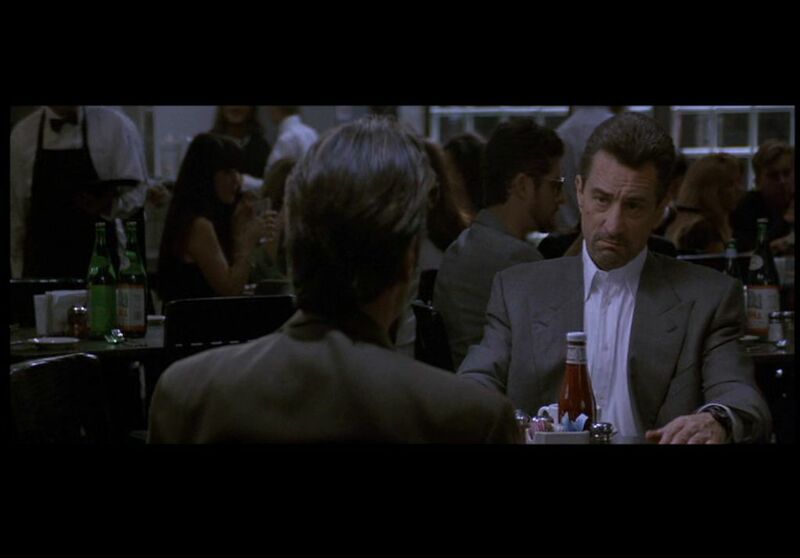 In the lead up to the famous sit down between De Niro and Pacino in a coffee shop, Vincent’s highway pursuit of Neil McCauley to the cosmic strains of Moby leads to a series of closely inter cut shots in which both characters are positioned to the right of the frame. The near match in terms of framing and editing suggests that these two men are very much alike even though they stand firmly on opposite sides of society. It also toys with expectations as genre dictates that typically when the cop pursues the criminal it means arrest and interrogation – however, Mann reverses such conventions with Vincent’s polite invitation to Neil for a ‘cup of coffee’. The male dominated genres which have come to be associated with Mann’s oeuvre means that he is conveniently criticised for his representation of women. Given the nature of the crime and noir genres, a valid critical position could be sought by explaining the lack of underwritten female characters as one of gender bias that is inherent in genre conventions. Yet I am not entirely convinced if such a criticism concerning Mann’s depiction of women holds any merit especially when one takes a closer and analytical examination of key female characters from his films. Be they peripheral or central to the narrative, women in the films of Mann exist as individuals who are fiercely independent, highly articulate and relatively uncomplicated. Though they stereotypically demand some form of emotional commitment from their male partner, it is the physical presence that the men are unable to provide which leads to an inevitable estrangement. Mann’s female characters; Jada Pinkett as ‘Annie’ and Marion Cotillard as ‘Billie Frechette’. Arguably, ‘Collateral’ features one of Mann’s weakest female characters in the figure of Annie, the Lawyer played by actress Jada Pinkett. Not only is Annie one dimensional in many ways, her relevance to the narrative is purely in terms of plot. Her appearance at the beginning of the film sets up the theme of chance which the film will return to and question at the end when Max realises that Annie is the last name on Vincent’s list of contracts. Starkly contrast this with the representation of Billie Frechette in ‘Public Enemies’, and what becomes apparent is perhaps the inconsistency with which Mann situates the female characters in his films. Though Frechette is allowed time to breathe as a character, this idea of an inner life is somewhat absent in this case. I think this is an area of Mann’s work that demands further study in terms of the wider context in which many of these female characters have been represented as it is likely to elucidate a clearer ideological explanation. Mann’s latest film, ‘Public Enemies’, is set in the depression of the 1930s and retells the notorious exploits of John Dillinger who made a living from robbing banks. The man chosen to restore the public’s faith in law and order falls upon the steely figure of Melvin Purvis, a dedicated FBI Agent who more than meets his match in the charisma of Dillinger’s sympathetic outlaw. With ‘Public Enemies’ and ‘Miami Vice’, Mann’s work has been somewhat surprisingly undermined by mediocre actors like Colin Farrell and Johnny Depp. However, there was a time when Johnny Depp actually cared about the kinds of films he was making but ever since the Pirates films blurred the line between Johnny Depp, the actor and Jack Sparrow, the character, I have really struggled to take him seriously anymore. Depp brings a lot of baggage with him to the role of Dillinger and an older, more mature actor would have helped Mann get over the tricky hurdle of convincing audiences. Christian Bale as the stoic G Man Melvin Purvis. Warren Oates was perfectly cast as Dillinger in the under rated 1973 film directed by John Milius as his face simply had character to it, a quality which Depp is unable to convey. However, it is a beautifully elegant film that is crowded with some stunning moments and typical Mann like pauses to reflect upon the voids which haunt all eras and societies. Re-teaming with Mann regular, Dante Spinotti’s cinematography is nothing but superlative in both its rendering of colour and framing. 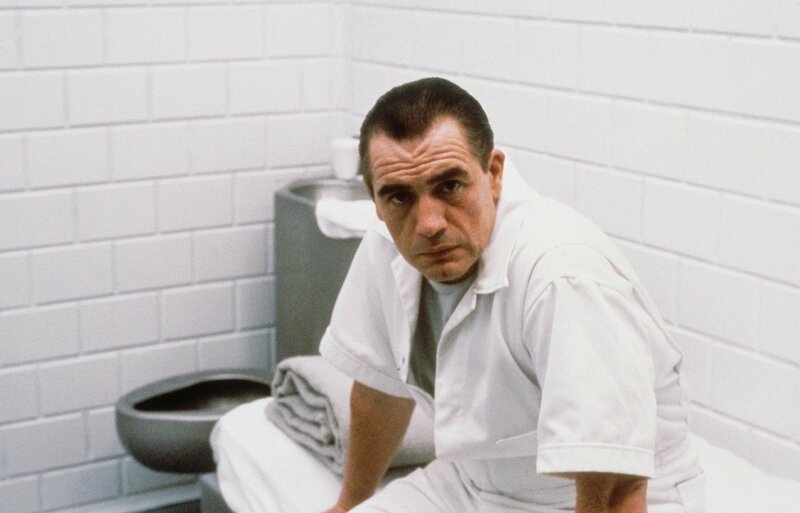 I do feel that at times the film works quite brilliantly as an all out genre piece and though Mann as auteur is visible throughout including the elongated death of Dillinger, it still falls short of capturing the compelling nature of films like ‘Heat’ and ‘Collateral’. Nevertheless, like with all Mann films, a second viewing always seems to bring about a different judgement – a similar fate has befallen ‘Miami Vice’ in this case. Mann works within the constraints of the mainstream, so invariably the content of his films are to an extent determined by generic conventions. I think the difficulty Mann continues to face in maintaining his auteur credentials is no better illustrated in his last two films including ‘Public Enemies’. Both of these films rework many of the preoccupations of his best films but slightly dilute them for a much younger audience. Trying to find the right balance between personal, creative aspirations and commercial necessities is a tough one for any film maker working with relatively big budgets and a bankable cast, especially for someone like Mann who doesn’t want to perceived as another director who sold out to Hollywood so he could simply continue making films for the rest of his life. 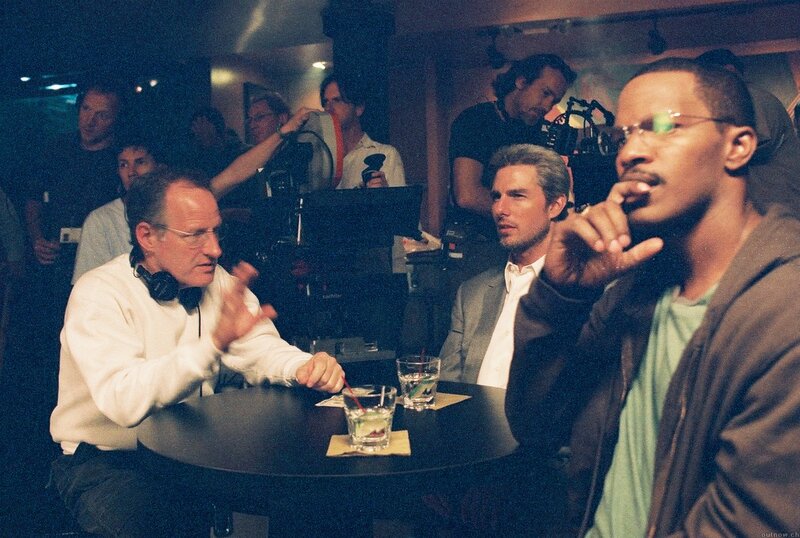 Michael Mann confers with Tom Cruise and Jamie Foxx on the set of ‘Collateral’. ‘I always try to find something that makes a scene feel real, and what makes things feel true to me is usually something anomalous, a component you would never expect to find, so it doesn’t look manicured or perfect. This can be a location, a gesture, an expression, a thought in somebody’s head – if you look at life, that’s what it’s like’. © Copyright 2009 Omar Ahmed. You just hate johnny depp. my one true love. Im joking i love reading your reviews you know what your talking about. and really makes me feel like im back in your class. Johnny Depp looks great in the role but I can't take him seriously since the Jack Sparrow phase. Cracking stuff, Omar. All Mann's early movies got releases or festival screenings in the UK. I remember being impressed by The Jericho Mile which had a London West End release. I confess that I made a bit of a fool of myself going overboard about The Insider, which I thought was a seriously good film – I'm not sure that the subsequent films that I've seen (Miami Vice and Public Enemies) are really in the same league. What I really want to comment on is the digital cinematography on Public Enemies. Did you see the film on 35mm or on a digital print? I've just returned from seeing on the Pictureville screen at the National Media Museum on a digital print. Part way through, I decided that someone needs to start an analysis of what the aesthetics of digital film really mean. 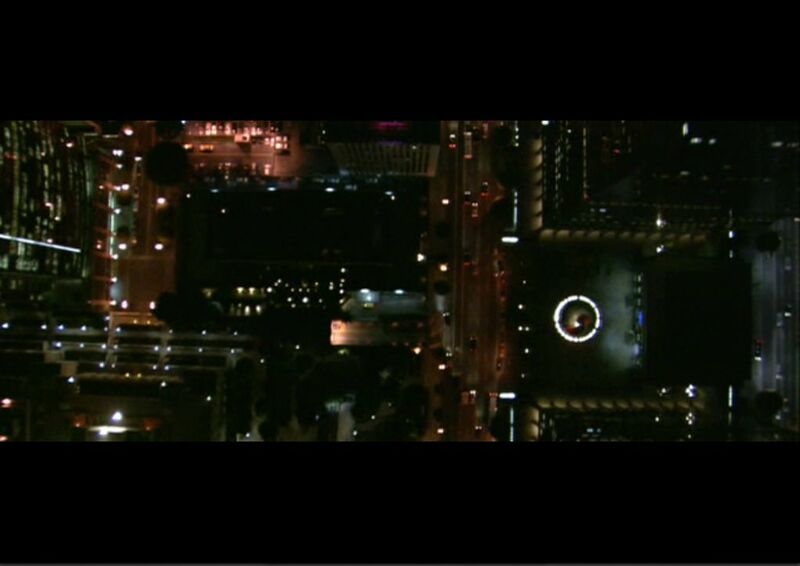 It does, as you suggest, give a certain kind of clarity in the night-time scenes. It also produces what I can only describe as video-type smearing and bleeding. Set against a light background in an otherwise dark image, talking heads gain a kind of shimmering red outline. Focus is all over the place and movement at night produces all kinds of flaring and tracing (I'm struggling to describe this). I'm afraid that in other scenes I found myself counting the threads in the cloth of a suit or marvelling at skin textures (good and bad) rather than what was actually happening in the narrative. I'm not arguing that this is 'bad' cinematography. Personally, I like film, but there are films shot on digital formats that look great as well. But I think Mann 'pushes' the format, presumably to create effect and I can't yet work out what the effect is supposed to be. Re the women in Mann's more recent films, I thought Gong Li was seriously wasted but Marion Cotillard was terrific – at first I thought she looked very 'unAmerican' (but then thought that there is something of Susan Sarandon about her). Thanks for the intelligent feedback, Roy. I agree with much of what you are saying in regards to digital; I also happened to watch PE on a digital print and though the clarity is present in the night scenes, much has been said about Mann’s decision to shoot a period film digitally – in regards to the flaring and focus, I also noticed this – it gave the film a distinctly odd look, one I suspect Mann was not trying to aim for. I think this may have something to do with the change in cinematographer; Dion Beebe shot both ‘Collateral’ and ‘Miami Vice,’, whilst PE was a re teaming with Dante Spinotti – though I would argue Spinotti is a superior cinematographer, it takes a certain perhaps technological nuance to be able to shoot digitally. I guess this is why many of the old school American film makers like Spielberg and Scorsese have been reluctant to go for the digital option as it still needs refinement and greater credibility for it to succeed as a potential rival to film. Another observation regarding digital is that the image seems to far superior on Blu-ray and a HD Television (Fincher’s Zodiac is a striking example) than in the cinema – I think the technology for home cinema is slightly ahead of multiplexes in this regard which for me is kind of baffling. So perhaps digital and the cinema of Mann and Fincher alike are better suited for a home cinema experience? Then again, I don’t know what this quite says about where we are headed in terms of cinematography for American film makers today. The digital debate is very complex because there are so many variables (the capture format, the intermediate, the projection format etc.) Most UK digital releases are on 2K prints but sometimes the Americans produce 4K prints (I think that The Assassination of Jesse James was on 4K). I can't really comment on Blu-Ray/HD as I've only seen one film, the Afflecks' Gone Baby Gone, on the format and it was so awful (blotchy and breaking up) that I didn't finish it (I couldn't hear any of the dialogue properly either). We eventually decided that the disc must be faulty. A couple of months ago Sight & Sound carried a letter from a respected archivist who'd visited several different cinemas showing the same film on digital and reported differences in projection. This one will run and run I suspect. Particularly nice selection of stills, thanks! Thanks Joe! You are a life saver! And thanks for the feedback, much appreciated – I had a look at 'Panes of Glass' on your blog, very nice to see Spinotti being discussed as an ace cinematographer. Excellent piece, Omar! An improved translation of JB Thoret's great essay, legally published, will appear soon in ROUGE (www.rouge,com.au). 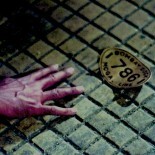 You should also check Anna Dzenis' terrific Mann piece in SCREENING THE PAST on-line. Anna has a book on Mann coming soon from Illinois University Press, it will 'set the tone' for all future discussion ! Thanks Adrian. It's reasurring to know that a worthwhile book on Mann will appear soon. I will be anticipating Thoret's essay on rouge. Along with Matt Zoller Seitz's video essays this is one of the most insightful analyses of Mann's work I've come across. Very thought provoking and eye opening, I thoroughly enjoyed reading this. 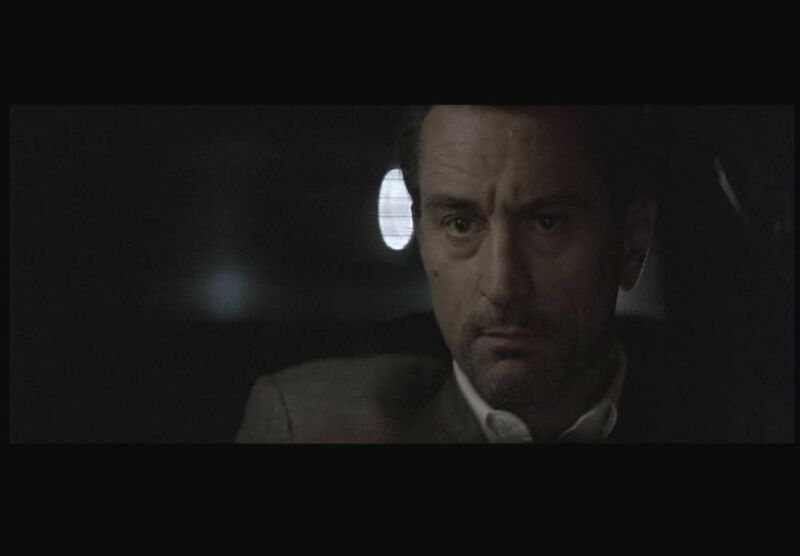 This entry was posted on July 20, 2009 by Omar Ahmed in Auteur, Hollywood Cinema, Michael Mann.